Dr. Per-Ingvar Branemark is credited with the discovery and development of the technique of osseointegration. Osseointegration is defined as a chemical and mechanical bonding of a titanium implant(essentially a titanium screw or fixture) to the surrounding bone. 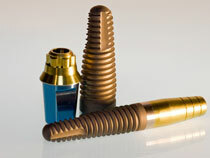 These implants act as artificial roots, or anchors, for the replacement of missing teeth. 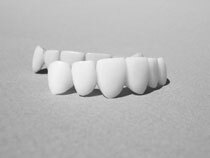 Implants give replacement teeth a more stable base and improve the use one can get out of bridgework and dentures.